When thinking about doing medicine an important consideration aside from which medical school you would like to attend, is what sort of place you would be willing to accept. These places are uniformly similar for undergraduate and graduate students. Editors Note: Please check the appropriate websites such as the Australian Government's Department of Health and Ageing website as these places are subject to change. Typically the most desirable place, as part of your tuition is funded by the Commonwealth Government with no obligations (e.g. return of service) attached. On average, you pay nearly $9000 a year in tuition fees which can be deferred by using the HECS-HELP scheme. The benefit of paying upfront is that your receive a substantial discount. On graduation you have the opportunity to work anywhere. These places are also funded by the government, but unlike CSPS, BMPs come with an obligation to work in an area of medical shortage at some point after graduation. Basically to get Doctors to where there are Doctor shortages (i.e. 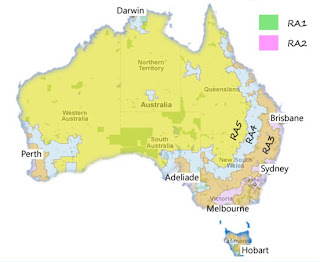 rural & remote communities). Tuition fees are the same and can be deferred using the HECS-HELP scheme. Students on BMPs are obligated to work in an area of workforce shortage equivalent to the length of their degree. For example, a BMP student undertaking the MBBS at UQ (a 4 year program) is required to spend four years after graduation in an area of workforce shortage. Currently you must complete your return of service within 16 years of commencing your medical degree. 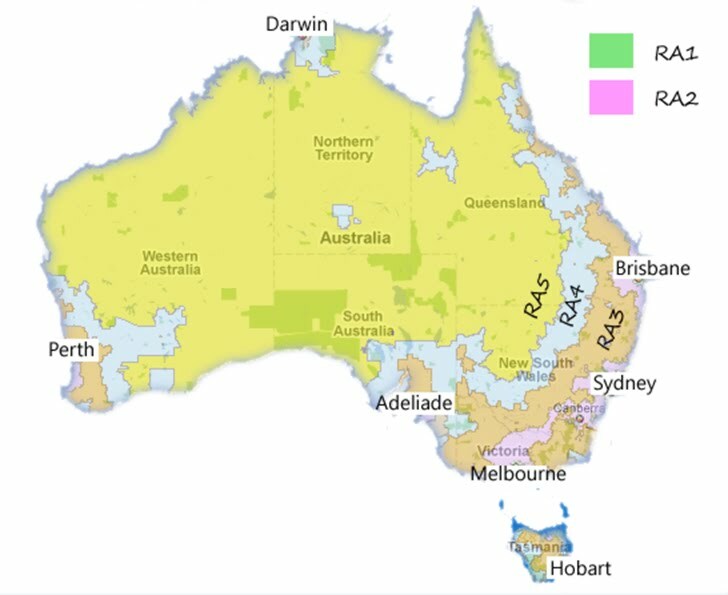 A district of workforce can be any zone above RA1 (major cities of Australia; green). If you break the deed of agreement (e.g. don't finish your medical degree or complete your return of service) you will most likely be forced to repay the government's contribution to you medical education (on average ~$18,000 per year). The MRBS is essentially a scholarship form of the BMPs. You are required to work in an area of workforce shortage at some point for 6 years following the completion of your degree. The scholarship amount is approximately $23,222 per year and indexed annually. If you break your contract with the government you will not be able to practise privately and bill Medicare for up to 12 years. You are required to pay the full scholarship amount, with interest, from the date of the breach. Full fee places are for international students and those who select to go to private universities such as Bond University. The government does not contribute to your education costs and fees can be in excess of $40,000 per year. For a more detailed review of medical places read the AMA's guide for prospective medical students or go to the Government Department of Health and Ageing website.